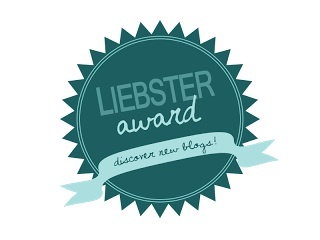 I woke up this morning to find this wonderful Liebster Award nomination surprise on my blog, courtesy of the lovely and bubbly Catherine of http://thiskittenhasklaws.wordpress.com/. If you haven’t read her blog yet, do! When you read her blog posts, they’re full of energy and it’s like you’re listening to a friend speak. 1) Name the first 5 items you see right now if you open your fridge. Umm, milk, lipstick, eye cream, perfume, and Philadelphia Cadbury cream cheese, which I smuggled through customs after being in the UK over the summer but haven’t opened yet. I seriously LOVE that stuff! If I had had more room in my suitcase, I definitely would have brought more back with me. And yeah… those five things are exactly all I have in my fridge. It’s tiny, like a mini hotel fridge (I have to fold leeks in half to fit inside it!) and I almost never cook (I know it’s awful), so those are my excuses. 2) What would be your dream career path? And is it the one you’re on right now? Oh dear, deep question. In my head, my dream job is Anna Wintour’s (editor-in-chief of American Vogue)! It is not the career path I’m currently on now, however, and I have no idea if I ever will be on it one day, or if I would be good at it even, but, nonetheless, it is the first thing I say when people ask me about my dream job. 3) What is your favourite nail polish finish and colour family? I like shiny nails, or nails with a shimmer finish, and am quite happy to wear any nail colour that I find pretty and that suits me, but I feel especially glamorous when I’m wearing vampy nail shades like reds or plums. 4) If you could read only one book for the rest of your day, what book would it be? One book or the rest of my day? I like this question, because it has less finality. Perhaps it would be a great opportunity to finally start reading “1Q84” by Haruki Murakami. I’ve had it since the summer, but haven’t gotten round to even opening it yet – I like Murakami, but it’s a monster of a book! 5) Omnivore, carnivore or herbivore? Why? Omnivore – simply because I like the idea of having a choice. If I said I was going to become a vegetarian, I would start craving a burger immediately, and that’s no good. If I know I have the choice, I don’t eat meat as much, since I can have it whenever I like. It sounds a bit convoluted and weird, but it works for me. 6) Do you get OCD about stuff? If yes, describe three such things. I can get a little OCD about things, or perhaps it isn’t that intense, but more like excessive perfectionism. Three situations I can think of (and they’re really minor things, which makes it worse!) are: a) when I’m folding exam papers for my students, if I haven’t lined up the edges before folding, I get upset, and I also get upset when they don’t line up perfectly, and since they never do, I’m constantly upset when printing exams (this also means that I take the longest out of anyone in my staff room to fold exams); b) if I’ve made a typo on a Facebook, WordPress, What’s App, or LINE message, I freak out and have go back and correct it, I can’t just leave it; and c) whenever I see a new product, whether it’s a food or drink item or makeup, I have this immediate compulsion to have it… at any cost… which is quite dangerous for my wallet. I used to have to finish a book or movie if I’d started it, but I’m better at that now, simply because I’ve realised that life’s too short! It will bug me a little, but not as much as it used to. 7) Be awesome and tell us, what’s in your bag? Oh dear… I have my Suica (Japanese travel card for the Kanto region), my wallet, a purse for my change, Polos or some other kind of mint, my makeup bag full of makeup for emergencies, two mini hand towels, tissues, my phone, my phone charger (since the 2011 earthquake I carry my charger around as well), my schedule book, my glasses, and girl stuff (okay, pads and tampons – I like to be prepared for all eventualities). Most of the time I also carry a bottle of water. 8) What was your favourite childhood story/book and do you still like it or have you grown out of it? I really loved books and stories by Enid Blyton, and I think the Enchanted Wood series may have been my ultimate favourite. I re-read them a few years ago, and would gladly do it again and again and again. It will never get old, for me at least. 9) If you could choose a wardrobe from any given decade and century what would it be? Nooooo! This is SO hard! I love corsets, so Victorian dress is very appealing, I’ve also recently come to love the vintage dresses of the 50s and 60s, and flappers were pretty awesome too! Then again, wouldn’t it be lovely to swan around in gorgeous silk kimonos? Or, wouldn’t it be fun to be a cancan dancer at the Moulin Rouge? Failing that, I would have loved to attend one of those exquisite masquerade balls and dance the night away with dashing gentlemen. I’m going to cheat and choose this current decade in the 21st century, because in our current, globalised world, we can get any kind of dress from anywhere in the world and make it work. We can go to vintage shops, buy corsets in Camden market or on the internet, and I even saw some gorgeous kimonos in the basement of the massive Topshop store on Oxford Circus. These days, anything is possible, and people are always dressing up for themed parties or Halloween, so you can dress in whichever way you want, any time you want to. It’s all dreary grey clouds in Tokyo today. It has seriously been raining buckets all last night and all day, and it’s showing no signs of letting up anytime soon. It was definitely a pyjama day – thank goodness it’s Sunday! I had always wanted to start a blog, and one day I just took the plunge. I never thought I would love it as much as I do, or that anyone would even read it. As for my goals, who knows? I just want to keep blogging as much as I can, and I hope that more and more people will like my blog and my writing. That will be plenty enough for me. Whew, that was hard work! 1. http://vinylandpearls.wordpress.com/ A very, very new find for me, but I love what this blogger has to say about all things vintage. Who doesn’t want to be like Audrey Hepburn? 2. http://fashionisallthat.wordpress.com/ A lovely new blog about fashion, beauty, and lifestyle. 3. http://arielinkawaiiland.wordpress.com/ A blog all about Japan and kawaii; love it! 4. http://daysofourlivesjapan.wordpress.com/ I don’t have kids, but I really enjoy this well-written blog! 5. http://itsonlymakeupjohn.wordpress.com/ This is a blog I discovered very recently, but one that I enjoy reading very much. 6. http://kingdomoftides.com/ This is a very nice blog with plenty of wonderful product reviews and tutorials. 7. http://otakuwearsprada.wordpress.com/ A marvellous blog combining two of my own loves, Japanese geek culture and fashion and beauty. 8. http://crazyinpink.wordpress.com/ A blog that provides compulsive reading and lets you spend time in someone else’s shoes. I like. 9. http://madeinmatsue.com/ Because Tokyo is not the be all and end all; explore a different prefecture of Japan with this blog. I really enjoy reading about other prefectures and cities too. 10. http://postcardsfromfukui.com/ A great blog with amazing photos if you want to experience the Japan outside of Tokyo. I definitely hope to visit Fukui one day. 11. http://cutenippon.wordpress.com/ Look no further for interesting facts about Japan. And now for my 11 questions for my 11 nominees… drumroll! 1) What was the last thing you bought? 2) What’s in your handbag? 4) What are you most looking forward to at Christmas? 5) If you could choose a wardrobe from any given decade and century what would it be? 7) Name the first 5 items you see right now if you open your fridge. 9) When socks disappear, where do they go? 10) Give us a description of what you see when you look out the window this very moment. 11) What does blogging mean to you? Thus, with a kiss, I will end this post here. LOVE! I am totally chuffed for the nomination, thank you! I enjoyed reading your answers. Lipstick, eyecream and perfume in the fridge? Makes perfect sense, but I never knew or thought to do that. You see, I learn something new from your blog everytime I visit. I loved the Enchanted Wood too! I also want to read “IQ84”. I was gutted he didn’t get the Noble prize for literature again this year. Its such a simple, lovely idea with great effect. It was nice to see your other nominations, I will certainly be checking them out and supporting the cause, so to speak. I really am chuffed. EEEEEE!!!! I am so beyond chuffed that you think so highly of the weird writing that spews forth from me! Thank you so much 🙂 I really can’t believe it! Thank you so much 🙂 It really means a lot to me. I love your answer to the fashion question! I would love to also go to a masquerade ball! I love your answer to the fashion question. Especially the masquerade ball. I would love to go to one! I finally got around to doing my answers. That was fun, but time consuming eh!? Enjoying a nice cold beer now. Thanks again for nominating me.